Many years of investigation and research has proven beyond any doubt that people who become addicted to drugs and/or alcohol are desperate in their desire to stop their destructive compulsive behavior caused by the chemicals they are abusing,(regardless of what they say or do that may seem to contradict the above statement, while in the throes of their addiction) and the irrational psychological condition which accompanies their drug and alcohol abuse problem. Virtually no addict is rational enough due to his or her condition to seek out treatment. Two of the primary reasons people seek drug treatment are because of legal issues or because loved ones insist they enter treatment. Many scientific studies have shown convincingly that those who enter drug treatment programs in which they face "high pressure" to confront and attempt to surmount their addiction do comparatively better in treatment, regardless of the reason that brought them into treatment in the first place. There are no exceptions to the following statement, "Every Drug Addict Or Alcoholic Wants To Get Better". 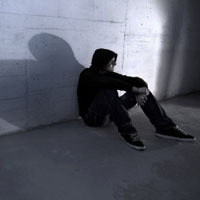 The desire of a drug addict or alcoholic to stop is one of the most powerful instincts a person can experience, they simply have no idea how to gain control over the damage they have done to themselves resulting in overwhelming compulsions, severely altered brain function, depression, nutritional deficiencies, guilt, shame, anger, hopelessness, and the cravings they experience when they attempt to stop. If you or your loved one have gone through a traditional disease based treatment program or several and failed, do not give up, you can get better. Parent Testimonials. Realize that, 90% to 98% of the clients that complete traditional disease based treatment programs do not get better and in many cases people actually get worse. You may ask youself, how could a person get worse by completing a treatment program? The answer is simple, the person wanted to get better, remember, "Every Drug Addict Or Alcoholic Wants To Get Better" no exceptions, so they enter and complete a traditional treatment program with a 2% to 10% chance of getting better, not realizing their chances are 2% to 10%. The person wanted to and thought he would overcome his addiction problem by completing the treatment program. When the addictive condition that he thought was resolved but in reality was not resolved re-surfaces i.e. COMPULSIVE DRUG CRAVINGS and the person relapses, the hope he had is gone and now the person often uses more drugs than ever to numb the "failed purpose" to get better. We are not making excuses for the person, we are simply stating scientific facts based upon human behavior and what happens to a person who attempts to succeed at a given goal over and over again to only fail again and again. The insufficiently treated person goes further and further down the chute psychologically, unresolved addictive behaviors re-engage and drug use will escalate in ratio to the persons psychological condition. A person who is destroying themselves and everyone they love around them makes countless silent promises to themselves (which they intend to keep, but until they get the comprehensive help they need, they more often than not, cannot keep the promise they wish so desperately to fulfil). Simply put, traditional treatment programs are not specialized for each unique client, it is almost impossible to get better in 28 days (it is at least 45 to 60 days for Normal Brain Function to be restored from drug craving mode), meaning if you attend a 28 day program, complete it and go home, (YOUR BRAIN CHEMISTRY IS STILL IN DRUG CRAVING MODE), Although many addicts feel hopeful after 28 days of rehab, most relapse quickly. They have had too little time to learn new behaviors and virtually no time to practice them. In addition to the above the individual is physically saturated with drug residuals in the fatty tissues of the body which are being released into the blood stream and then to the brain causing the brain to go into drug craving, seeking and using mode. (Cick Here To See Our New Life Detoxification Program). If you or your loved one have completed one or several traditional treatment programs and you have continued to compulsively use drugs and have given up, you did not receive the chance that you deserved and the odds were stacked against you. You can accomplish your goal. A person starts out as an occasional drug user, and that is a voluntary decision. But as drug use continues, addiction occurs, and that person goes from being a voluntary drug user to being a compulsive drug user. Why? Because over time, continued use of addictive drugs produce changes in brain function -- at times in dramatic, toxic ways, at others in more subtle ways, but virtually always in ways that result in compulsive and even uncontrollable drug use and other irrational behaviors. All psychotropic drugs have their own individual mechanism for changing how the brain functions. But regardless of which drug a person is addicted to, many of the effects it has on the brain are similar: they range from changes in the molecules and cells that make up the brain, to mood changes, to changes in memory processes and in such motor skills as walking and talking. And these changes have a huge influence on all aspects of a person's behavior. The drug becomes the single most powerful motivator in a drug abuser's existence. He or she will do almost anything for the drug. This comes about because drug use has changed the individual's brain and its functioning in critical ways. Our goal is to bring each client to a complete understanding of the causes of their addiction and through our specialized treatment methods repair the causes creating the addictive behavior, resulting in the ability to live a drug free life and therefore achieve a high level of productive functioning in the family, workplace, and community through our proven scientific treatment methods which address all facets of the effects of drug and alcohol abuse, past, present, and future. We address the "underlying causes" of the individual's addiction problem. Our program provides a wide range of therapy designed to repair temporary as well as long term psychological and physical damage caused by drug and alcohol abuse. Our clients feel their power of choice return over time as the damage is repaired and compulsive drug cravings are dramatically reduced or eliminated completely. Our clients commonly experience the return of former creative abilitities, such as sports, music, art, education or just being able to enjoy life without the use of drugs and alcohol. The ability to set and accomplish positive goals returns along with the willingness to take responsibility for one's actions. Our clients are taught how to change and improve conditions in any area of life. We teach our clients fundamental components of success which improve any dynamic of life when applied, giving them the stability afforded to those who are able to find sound solutions to the inevitable problems that arise in life. Our program includes therapy and education which address coping abilities and drug refusal skills. This knowledge put into action will help the individual to identify relapse warning signs and challenge thoughts that could lead to relapse. If you are ready make a change. We are not just a drug and/or alcohol program as drugs and alcohol are not "the problem" they most certainly compound already existing underlying problems including the repairable damage of drinking and drugging in the first place but drugs and alcohol are only a symptom that there are other problems unresolved in life. We are a life program. When a person is happier and more able in life they no longer have the desire to abuse drugs or alcohol. We will help you take the journey of a lifetime. We hope to see you soon.